BMI (Body Mass Index) uses height and weight to determine whether you are at risk for weight-related health problems. The lower your BMI, the lower your risk for health problems. 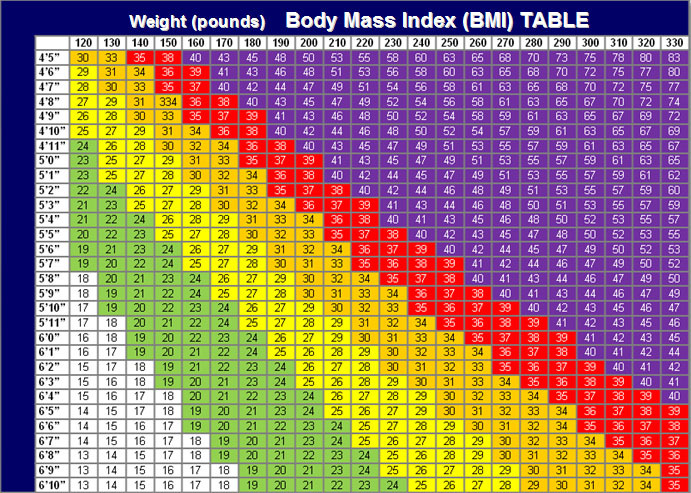 * The following table will help you to determine your BMI and, based on this, determine which program is best for you.